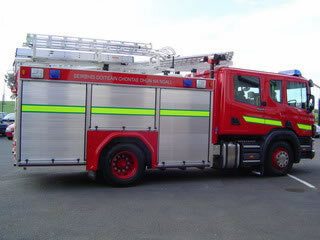 GARDAI in Ballyshannon are investigating an overnight fire at a disused school building. The old Scared Heart school in the town was gutted in the blaze with arson being one line of enquiry. Firefighters from the town were joined by colleagues from Donegal Town, Bundoran and Letterkenny in tackling the blaze. Scenes of crime officers and fire officers are spending today investigating the cause of the incident. The building hadn’t been used for some years.